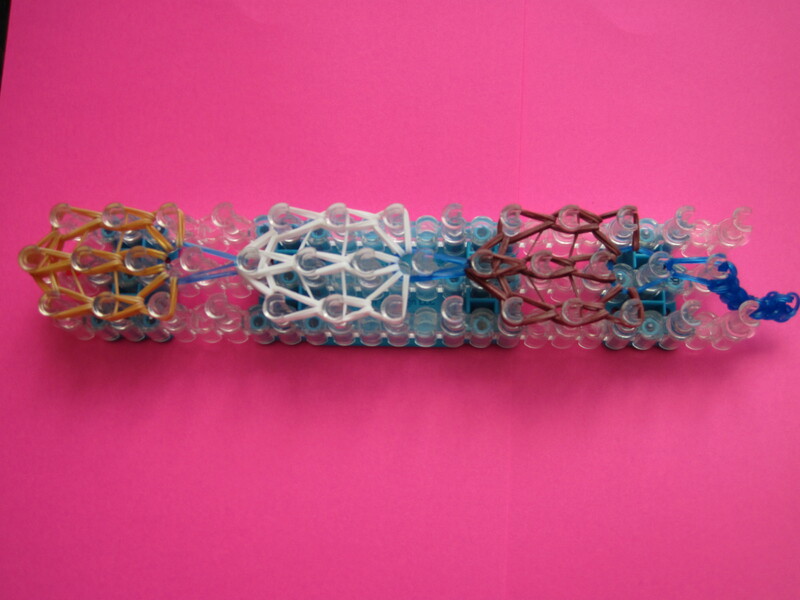 Next, create the first side of the bracelet by making a single chain with your blue bands. 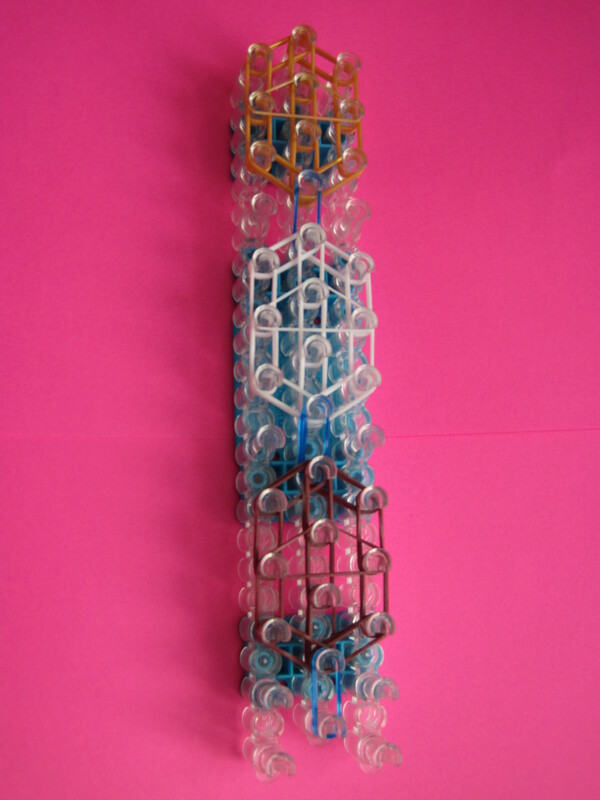 I used the bands doubled – 2 at a time – and used about 16 per side to make an adult-sized bracelet. You can adjust this to fit your own wrist. Once your chain is long enough, attach it to your loom (this will act as your cap band at one end). Once your chain is attached, you can begin hooking your bracelet. (For detailed instructions, you can watch the Girl Scout Cookie bracelet tutorial). 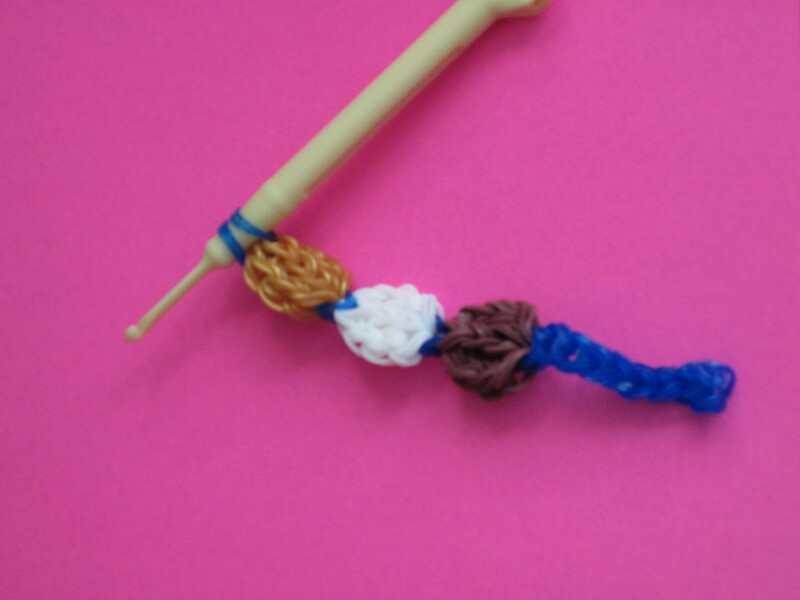 When the whole bracelet has been hooked, slide your hook through the centre of the last peg (where you finished hooking) and pull two blue bands up through the centre peg. Loop the blue bands over the hook again (so the end of the bracelet is not attached to your hook). You are now ready to remove the cookie bracelet from the loom! After removing the bracelet, use the remaining blue bands to make a single chain band, matching the length to the first chain you created. When you are happy with the length, attach a C-clip, remove from the hook, and attach the C-clip to the other side of the bracelet. Congratulations, your Girl Guide cookie bracelet is complete! Feel free to modify the colours to suit your style. How about an all-chocolate or all-vanilla bracelet? Or, attach several bracelets together and make a Girl Guide cookie necklace! It’s a great way to get girls excited about selling cookies, and a wonderful conversation starter to assist your cookie sales. 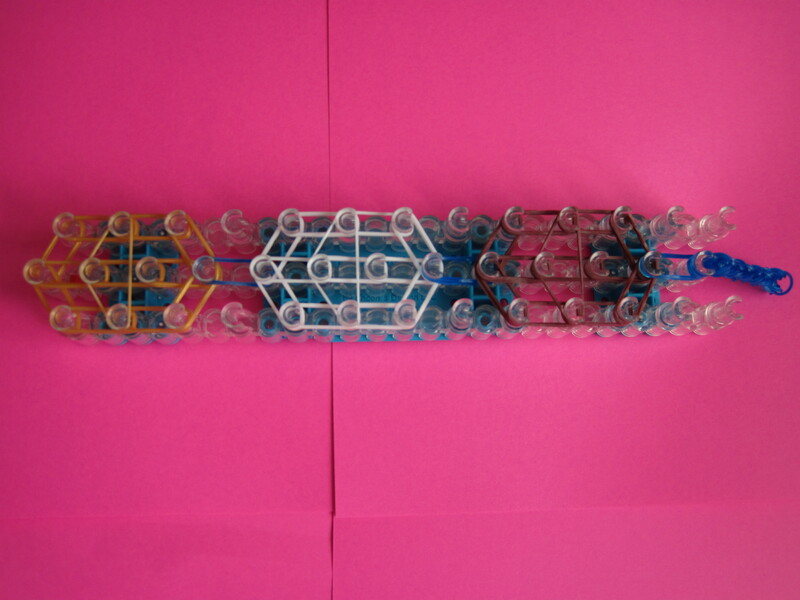 If your unit really enjoys looming, there are other ways to incorporate it into your meeting. How about these Girl Guide figures? 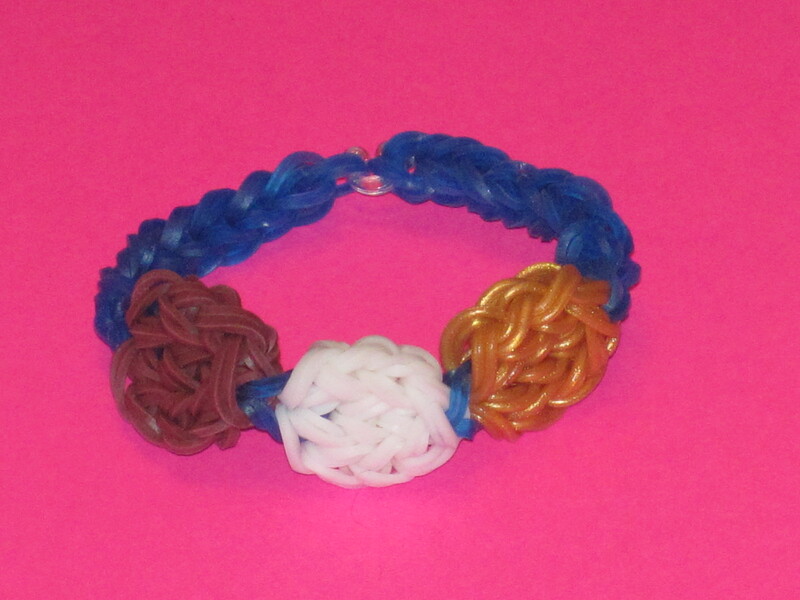 You could also make these Trefoil bracelets, posted on the Ontario Girl Guides Facebook page. Why not challenge your girls to come up with their own designs? Oh, and a word of warning…don’t be surprised if YOU leave the meeting wearing a whole armful of the girls’ creations as well…because sharing is the best part of creating, don’t you think? By guest blogger and Guider ‘Glowie’, a.k.a. Megan Gilchrist. Megan is the Contact Guider for the 7th St. Catharines Guiding (multi-branch) Unit. Read Megan’s other contributions to GirlGuidesCANBlog: Girlfriends Through Time: Bridging the Distance Between Guiding Generations, Swinging along the Road…, Inspiration to Guiding, I Bee-Lieve in Camp, Geo-What??? Or How to Hunt for Treasure in Your own Backyard, Hands-on History, Every Penny Counts, and “Multi-Branch” Means More Fun! 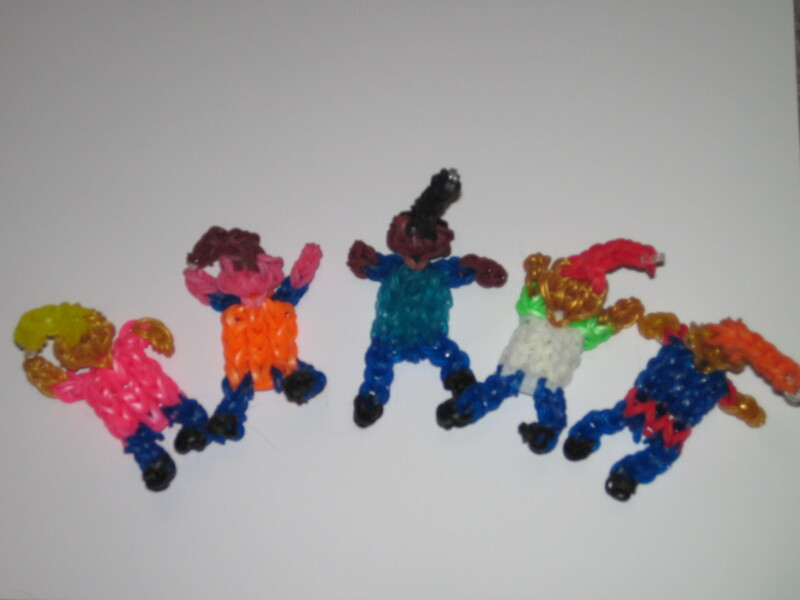 This entry was posted in Awesome Activities and tagged cookies, crafts, meeting ideas, rainbow loom. Bookmark the permalink.